Create your own custom guitar picks with the Punch-a-Pick from Boston. Guitarists regularly lose picks and sometimes there's no time to go to the store or order new ones online. All of these picks can finally and more reasonably Do you have an old bank card? You can make three picks with it from the Punch-a-Pick from Boston. That way you do not only have cheap picks, but it is also very original. 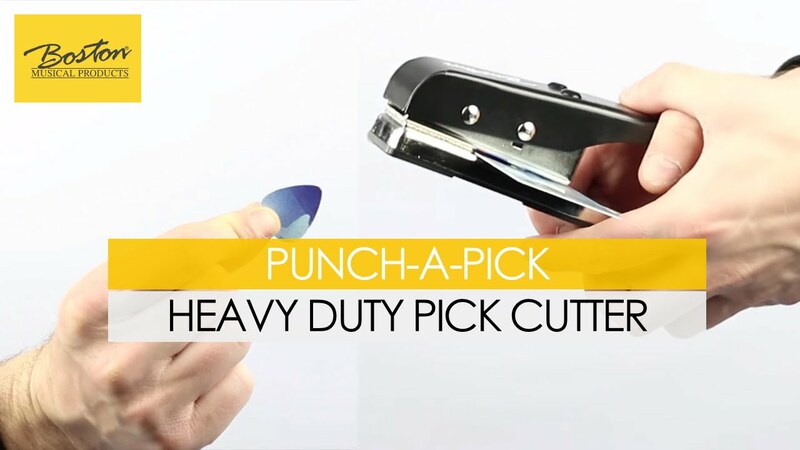 The Punch-a-Pick uses plastic material 2 mm thick. Experiment quietly away! There are two test PVC cards included so you can start cutting.